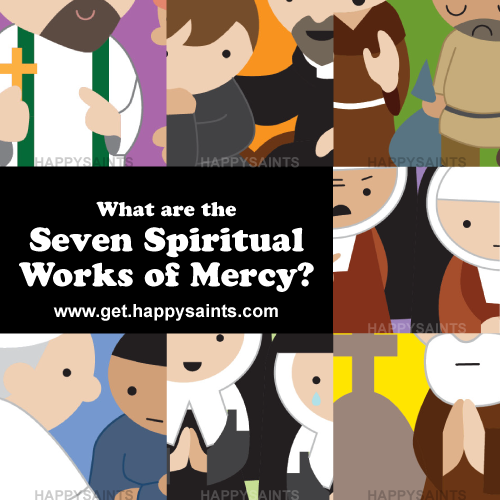 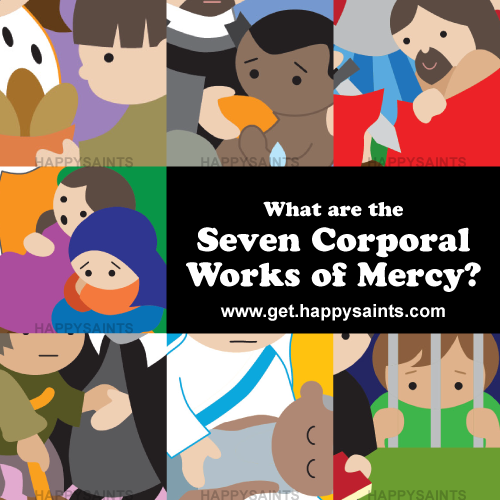 Download the ‘Happy Saints Works of Mercy’ eBook for your Lenten activities. 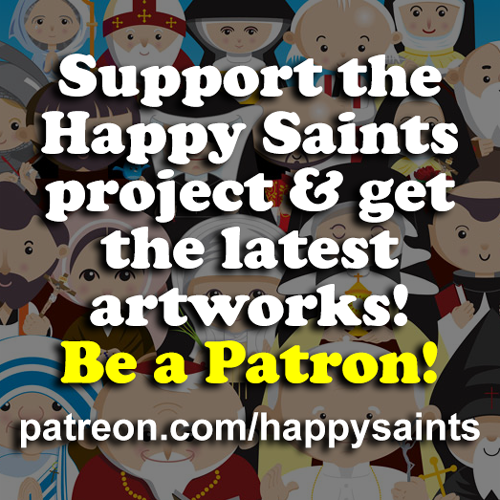 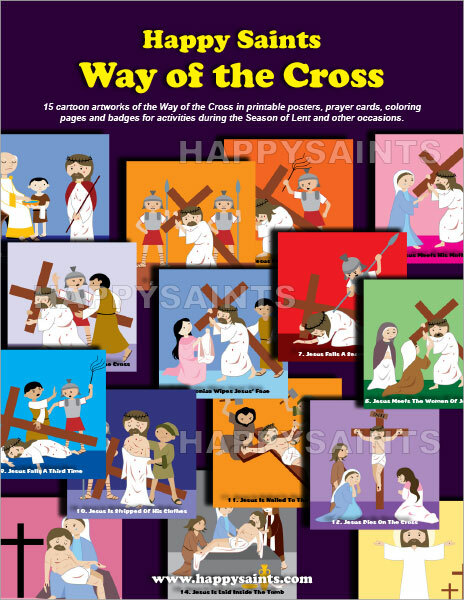 Printable PDF ebook featuring cartoon artworks of the 14 Stations of the Cross with simple prayers and reflections. 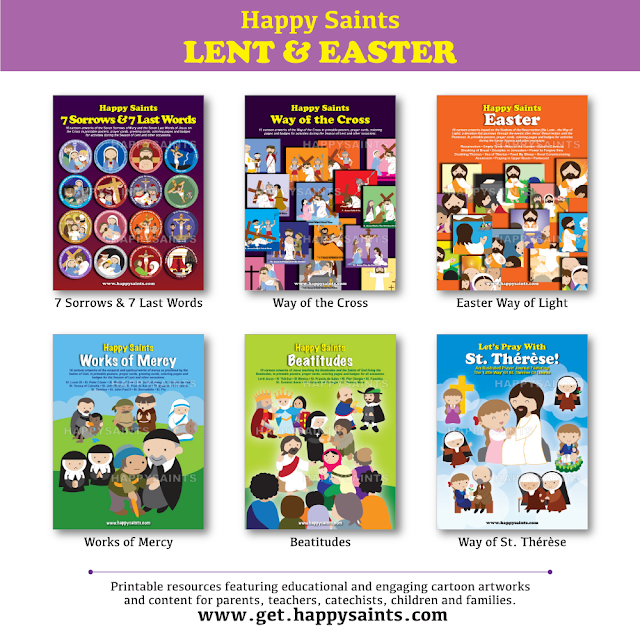 Great LENTEN resource for parents, teachers, catechists, children and families! 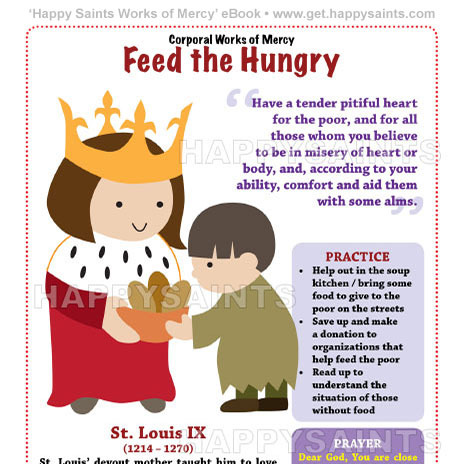 In multiple printable formats, i.e. 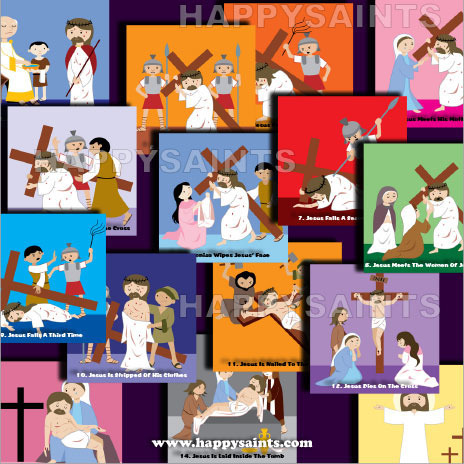 8 inch x 10 inch posters, prayer cards, coloring pages and badges for the Season of LENT. 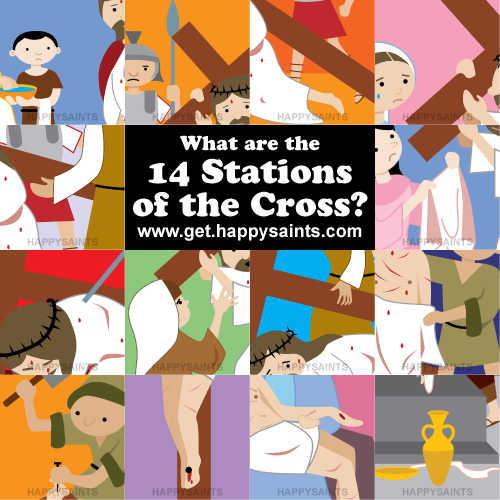 Download the ‘Happy Saints Way of the Cross’ eBook for your Lenten activities. 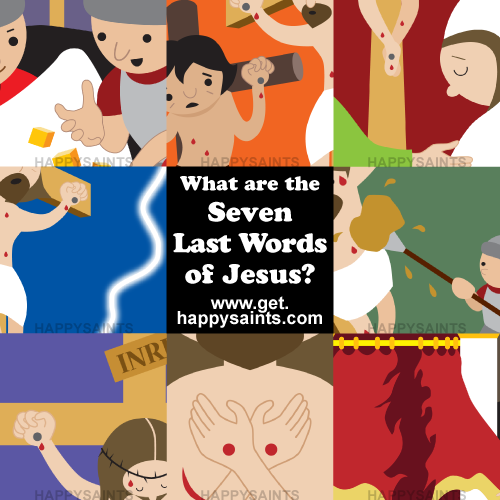 Download the ‘Happy Saints 7 Sorrows & 7 Last Words’ eBook for your Lenten activities. 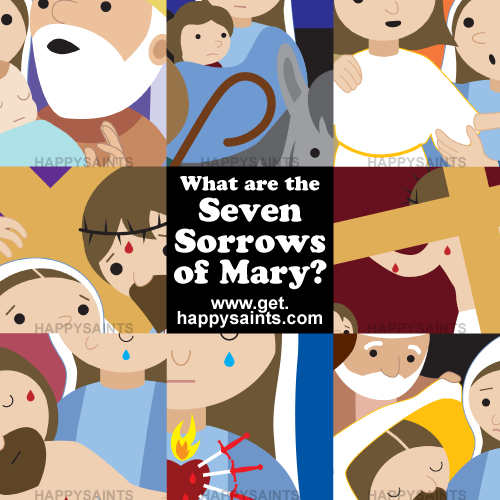 The Happy Saints 7 Sorrows and 7 Last Words eBook features 16 cartoon artworks of the Seven Sorrows of Mary and the Seven Last Words of Jesus on the Cross, with simple prayers and reflections. 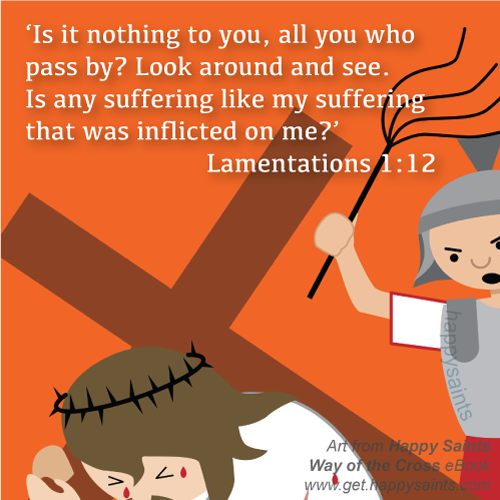 Let the young and young-at-heart feel Jesus’ Passion and Mary’s Sufferings during Lent. 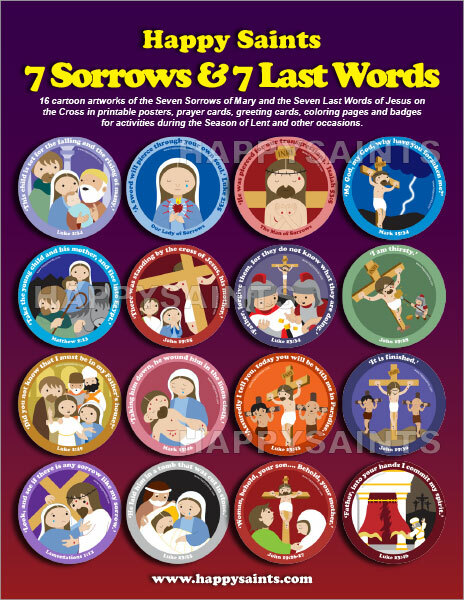 Great for parents, teachers, catechists, children and families.